Designed specifically for Tamiya M Chassis sized vehicles. 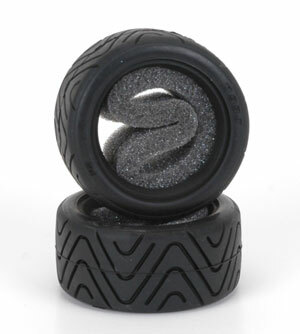 Specially developed tyres for carpet racing. Available in 3 compounds Hard, Medium and Soft. The soft tyres will give the most traction but can overheat in warmer conditions. The medium is a very good all round tyre for most conditions. If the steering is too aggressive then use one grade harder tyre on the front than the rear such as medium rear and hard front. Supplied with inserts in a pair.